Keimyung University President Synn Ilhi has been awarded the Commander’s Cross of the Order of Merit of the Federal Republic of Germany for his commitment to enhance Korea-German relations. In a ceremony Thursday, the German Ambassador to Korea Hans-Ulrich Seidt presented the award to Synn on behalf of the German President Christian Wulff in honor of his contributions to cultural exchanges and improving overall relations between South Korea and Germany. “I am honored to be awarded the German Commander’s Cross. I will not forget the goodwill of the German government and its people and continue my efforts to enhance relations between two countries,” Synn said at the ceremony. The German Commander’s Cross, the top state decoration by Germany, was created by German President Theodor Heuss in 1951 and given to people who made great academic contributions or improved relations with Germany. The late President Kim Dae-jung, Cardinal Stephen Kim Su-hwan and the Korea Industrial Development Institute President Paik Young-hoon had received the award. Synn was appointed president of Keimyung University in 1978 and created the German language department in the university. 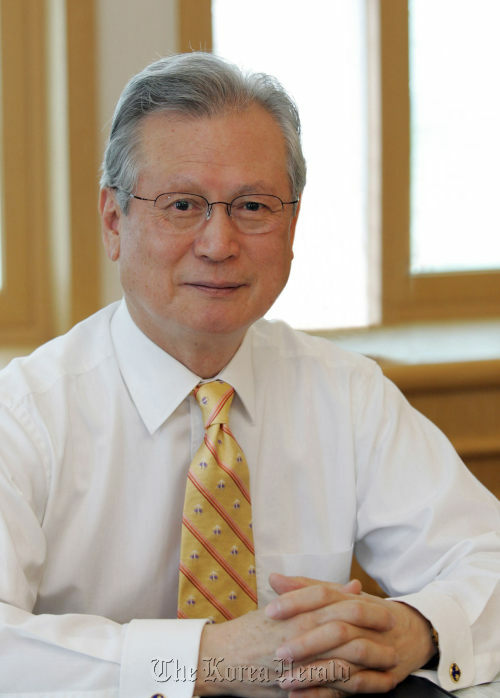 He became the first Korean elected to the operating chairman post at the International Association for Germanic Studies (IVG) and paved the way for Korean scholars to enter the international league of German language and literature scholars. He received Ph.D in the German literature at Princeton University in the U.S. and studied at the Heidelberg University, Germany, as a scholarship student of the German Academic Exchange Service (DAAD) in 1965.